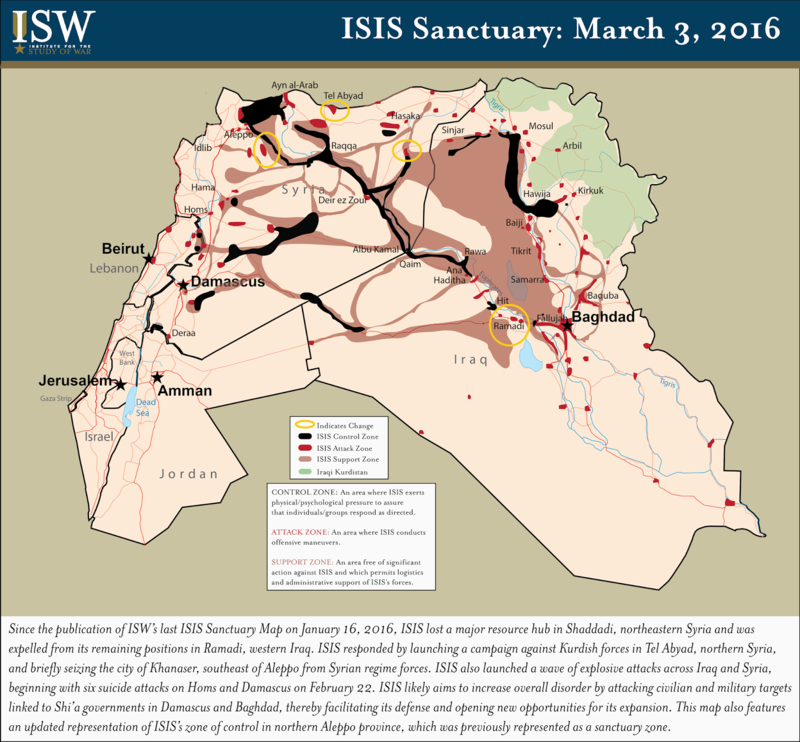 Since the publication of ISW’s last ISIS Sanctuary Map on January 16, 2016, ISIS lost a major resource hub in Shaddadi, northeastern Syria and was expelled from its remaining positions in Ramadi, western Iraq. ISIS responded by launching a campaign against Kurdish forces in Tel Abyad, northern Syria, and briefly seizing the city of Khanaser, southeast of Aleppo from Syrian regime forces. ISIS also launched a wave of explosive attacks across Iraq and Syria, beginning with six suicide attacks on Homs and Damascus on February 22. 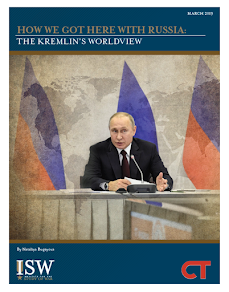 ISIS likely aims to increase overall disorder by attacking civilian and military targets linked to Shi’a governments in Damascus and Baghdad, thereby facilitating its defense and opening new opportunities for its expansion. 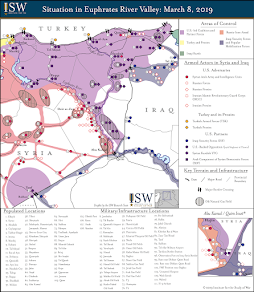 This map also features an updated representation of ISIS’s zone of control in northern Aleppo province, which was previously represented as a sanctuary zone.